On January 17, 2014, the Federal Trade Commission (“FTC”) announced the annual changes to the Hart-Scott-Rodino (“HSR”) Antitrust Improvement Act of 1976 pre-merger notification thresholds (see attached release). These changes will become effective sometime in mid-February, 30 days after notice is published in the Federal Register. However, please note that to the extent that a transaction is entered into prior to such effective date, the new thresholds will still apply to such transactions as long as the transaction closes on or after the effective date of the new thresholds. As a brief background summary, under the HSR Act, the FTC and Department of Justice must be notified before mergers, acquisitions and other transactions that meet certain monetary thresholds are consummated. Once the parties have filed their HSR Notification and Report Forms, the enforcement agencies have up to 30 days to decide whether to seek additional information—a process commonly known as a “second request.” The parties also have the option to request “Early Termination” which, if granted, will shorten the 30-day waiting period to approximately two weeks. If the 30-day waiting period expires without the issuance of a second request, or if Early Termination is granted, the parties are free to close the transaction immediately. If a second request is issued, the government has 30 days from the date the parties comply with the request to decide whether to let the transaction proceed or attempt to block it in court. Failure to file an HSR Notification and Report Form is subject to a statutory penalty of up to $16,000 per day for noncompliance. Transaction Value HSR Filing Required? Although the filing fee itself has not changed, the new filing-fee thresholds will also take effect on the effective date and will apply to transactions filing HSR Notification and Report Form on or after the effective date. For transactions that have been signed but have not closed yet, the applicable filing-fee thresholds are those in effect at the time of filing the HSR Notification and Report Form. Section 8 of the Clayton Antitrust Act of 1914, as amended (“Clayton Act”), generally prohibits persons from serving as a director or officer of two competing corporations (so-called “interlocking directorates”) if each corporation is of a certain minimum size. Under the thresholds required by a 1990 amendment to the Clayton Act, interlocking directorates will be prohibited where (i) each competing corporation has capital, surplus and undivided profits of more than $28,883,000 (increased from $27,784,000), and (ii) neither corporation has competitive sales less than $2,888,300 (increased from $2,778,400). These new monetary thresholds will be published in the Federal Register within the next few days and will take effect immediately upon publication. 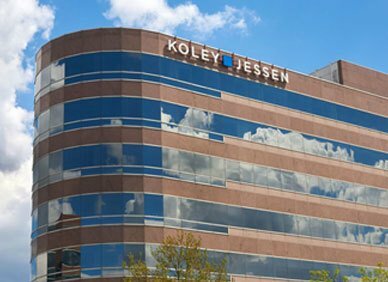 If you have any questions, please feel free to contact Jeffery R. Schaffart, Anshu S. K. Pasricha or your regular contact at Koley Jessen.